On May 22, Golden Dragon 2018 China Tour arrived in Beijing. Navigator, New Triumph, New Splendor and Coaster were all put on display, giving customers great opportunities to gain more thorough knowledge about its latest vehicle products. 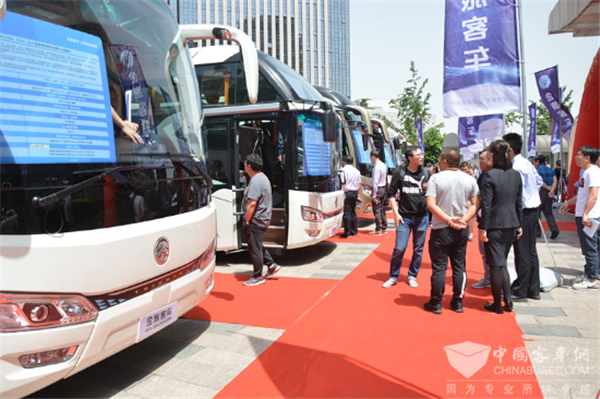 Also on the first day, technicians from Golden Dragon and bus experts shared their views on the bus maker’s aspirations to create more added values for all customers. To achieve this goal, it has made considerable progress in four particular areas, including the vehicle’s reliability, intelligence level, energy efficiency and travel comfort. To redefine travel comfort, Golden Dragon takes full consideration of both passengers and drivers’ needs and requirements. Better finishing, more environmentally friendly materials and improved coloring theme (CMF) have all contributed immensely to providing passengers with an unprecedented visual, sensual and auditory experience on the road. In addition, its latest NVH further helps its vehicles cut the overall noise level. At drivers cockpit, optimized layout, more spacious room, better maneuverability and wider viewing areas effectively reduce the driving fatigue for all drivers. 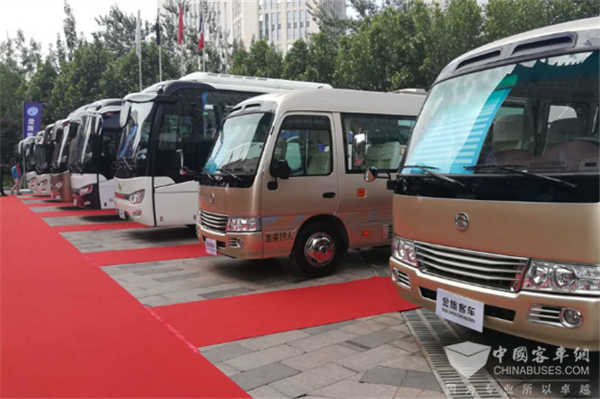 To improve its energy efficiency, Golden Dragon has taken concrete measures in improving the vehicle’s body design, overall structure and engine. Take the 12-meter Navigator for example, the coach has reduced its wind drag to 0.5. To make its vehicles more intelligent, Golden Dragon adopts ADAS intelligent assisting driving system and other latest internet of things (IoT) technologies. Currently, Golden Dragon’s second generation autonomous driving bus is already in commercial operation. As an important part of Golden Dragon Quality Year Initiative, the tour officially kicked off on April 18 this year in Tianjin and visited a number of cities across China, including Chengdu, Harbin, Shenyang, Guilin, etc. “By launching the tour, we aim to further promote face-to-face communications between our customers and our company. In addition, our customers are provided many opportunities to experience our corporate culture and our latest products,” said Lai Zhiyi, Sales Director of Golden Dragon.